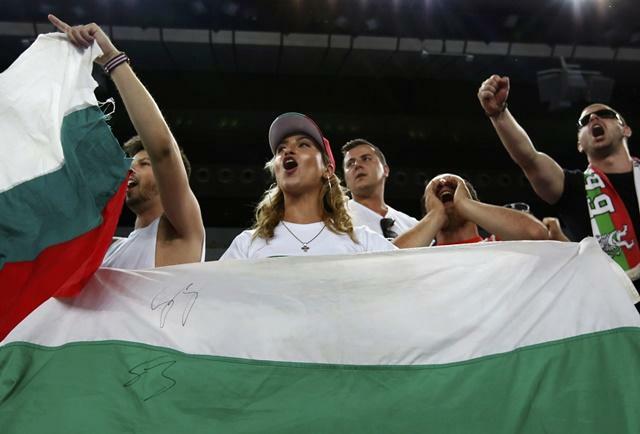 Will fans of Bulgaria be celebrating on Saturday night? After making a profit from the last three Eurovision Song Contests, Kevin Hatchard's back to preview Saturday's extravaganza in Kiev, and he's still opposing the current favourite. "Bulgaria's Beautiful Mess is an atmospheric ballad that builds really nicely, it's superbly sung, and has a great place in the running order." I said from the get-go that I couldn't understand why Italy was so well backed, and I still can't fathom the appeal of Francesco Gabbani's "Occidentali's Karma". Yes, Gabbani throws himself around with gusto, but I don't like the vocals particularly, and it's all a bit gimmicky. He dances with a gorilla on stage, and although the track's had a lot of internet love (stop giggling at the back), it just doesn't feel like a winner to me. Italy are now out to [2.66] to win the contest, having been odds-on at one stage. If it dips back down towards evens, I'd advise you to lay it, just as I did in my first column. I'm a bit annoyed with myself that I misjudged the potential appeal of Portugal's entry. I love the gentle ballad "Amar Pelos Dois", and as it turned out, a lot of other people do too. My concern was that Salvador Sobral's quirky (and at times downright strange) delivery would be polarising in the televote, but the general feeling is that fans have taken him to their hearts. This is trading at [3.1] to win the contest, and it seems to have plenty of momentum. The one to watch is Bulgaria at [6.0]. Teenager Kristian Kostov gave an excellent account of himself in Thursday's second semi-final, and I'll be surprised if he didn't win that semi. "Beautiful Mess" is an atmospheric ballad that builds really nicely, it's cleverly staged, and it has been given a great place in the running order. Kristian will be second from last to perform on the night, so he'll be fresh in the memory when people vote. At [6.0], I think this is worth a wager, especially as I believe it will shorten considerably on the night. X Factor alumnus Lucie Jones has been winning hearts and minds in interviews, and her excellent vocals have really lifted "Never Give Up On You." Dan Shipton has done another fantastic job with the staging (the broken shards of glass behind Lucie are a great backdrop when lit up), and it's a far better package than anything we've sent since Jade Ewen finished fifth back in 2009. There's a right load of pap around Lucie in the running order, so she has a great opportunity to make her song stand out. In a previous column I backed the UK to finish Top 15 at [2.4], and that price has now shortened to [1.5]. Given the UK's recent record, I feel like Top 10 would be a huge achievement, and if you're feeling patriotic you can back that eventuality at [2.26]. Didn't mention Brexit once, did I? Apart from just then. Damn it. One entry I just cannot fathom the love for is Belgium's "City Lights." The song itself is great, but singer Blanche looks terrified throughout, and her deadening voice never lifts what could've been a winner with a different vocalist. Blanche looks as discomfited as Guy Goma did when he accidentally ended up in that BBC interview a decade ago (if you haven't seen it, it's hilarious), and unless she gets her act together, she won't justify her price of [2.0] to make the Top 5. I'm really disappointed that Armenia have been placed fifth in the running order. Artsvik really belts out "Fly With Me" (think Shakira on steroids), and does so in front of terrific staging, but that slot might see it forgotten. I backed it to finish Top 5 at [2.74] earlier this week, and I'm still hopeful that the quality of the song and a solid set of traditional voting allies will see it do well. Romania's entry is pure Eurovision. Big cannons that don't actually fire, staging that will burn retinas across Europe, and a potent mix of rap and yodelling. It's a truly extraordinary three minutes (it feels like a lot longer). The Norwegian entry features a guy in a light-up mask which didn't actually light up in rehearsals, Croatia's Jacques Houdek sings opera and pop in the same song, turning to show a different outfit each time he changes style, while the Netherlands have sent three sisters who don't remotely look related. Two of them are supposed to be twins - I think my eyesight is finally going. I also have to mention the entry from Belarus. It's absolutely bonkers. The two singers are on a speedboat, with crazy clothes, mad hair and a song that seems to prefer sounds to words. That said, I absolutely love it.